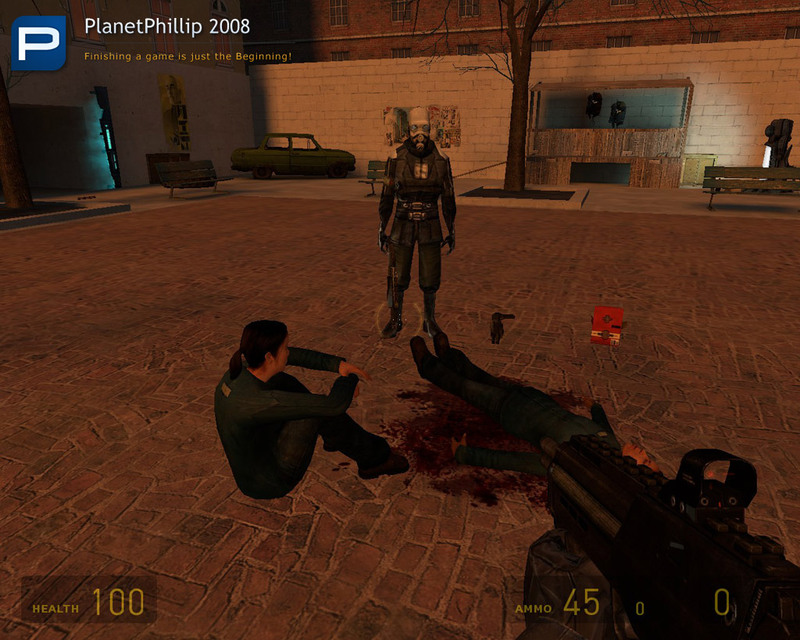 The map starts with a Woman being guarded by a Combine Soldier. Nothing happens until you kill the guard and then all hell breaks loose! You need to protect her, if she dies then the map is over. 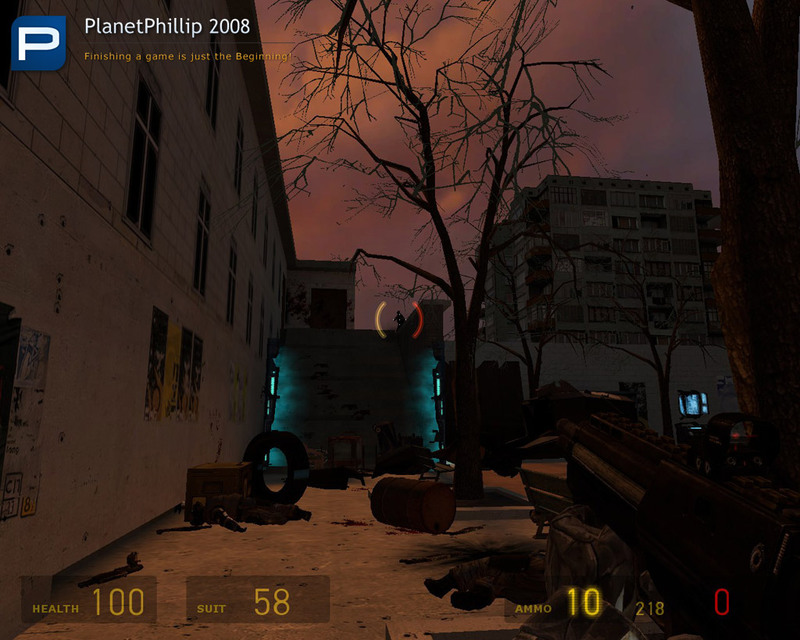 To be honest I couldn’t finish this map without cheating and even then I died a hundred times. I would really like to hear from players who can complete this map about the best strategy to use. 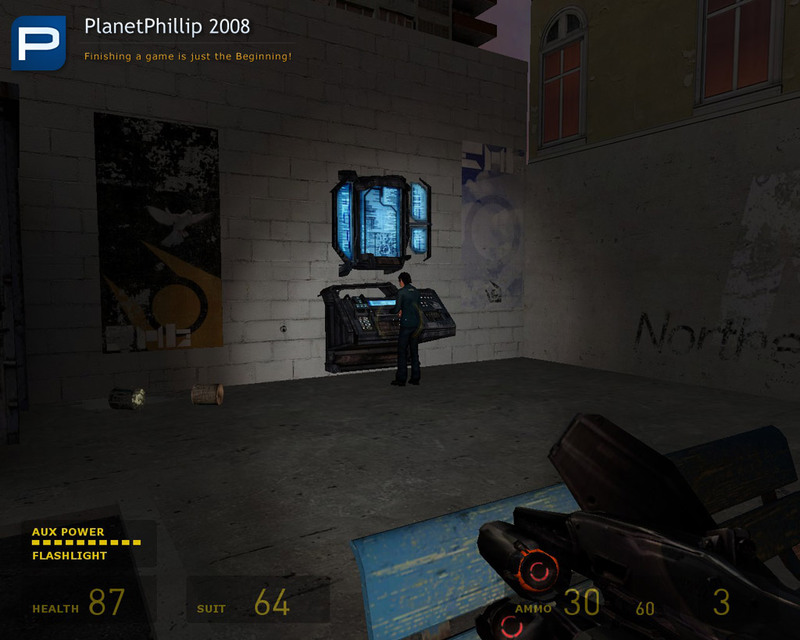 Copy flam.bsp into your Half-Life 2 Maps folder. Open the console and type map flam. I didn’t make it far and after 2 tries I really wasn’t interested in playing more. Looks ok but you are contained in one small area so there really isn’t much to it. Poor. 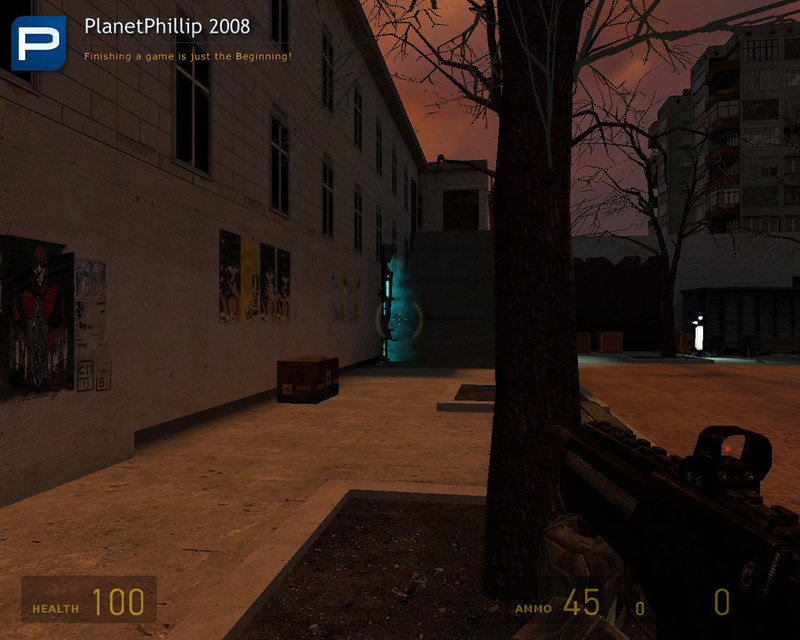 First of all, I have put this back on the frontpage because the file was lost but has been kindly supplied by those cool guys from City17.ru, a great HL2 SP resource in Russian. This is a specialist type of map and not everybody will like it. For the type of map it is, it’s great. Protect the woman from the advancing enemy. They come from three different locations. It’s freaking hard to win and as I said in the main post I had to cheat, even on EASY, and it still wasn’t easy. I’ve deleted all the previous comments related to the missing file. Playing normally, I wasn’t able to fight my way past the horde of shotgun soldiers at the end. 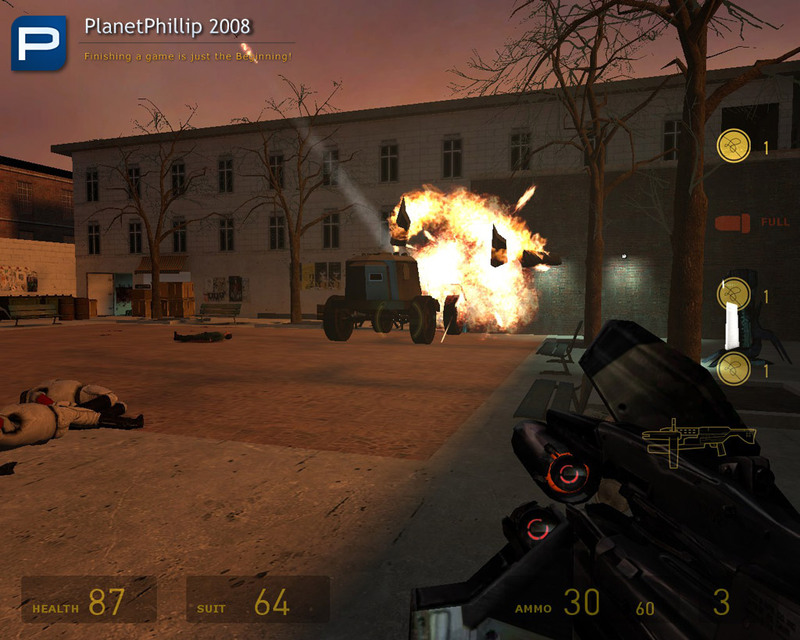 However, there were enough phys objects to block off all the Combine spawn points, and you have plenty of time to place them since the game doesn’t start until you take out the metrocop in the beginning. Link is dead…can’t find it anywhere via google. Hope it get’s uploaded again if ain’t too much of a bother. I have added a working download link. It’s the blue button. Sorry about the link colour, that will change soon.